The Lighthouse Construction Industry Charity has launched its latest campaign, ‘Save a Life’, and is asking the construction sector for help. The campaign is looking for businesses to make a difference by pledging to make an annual donation and becoming a company supporter. 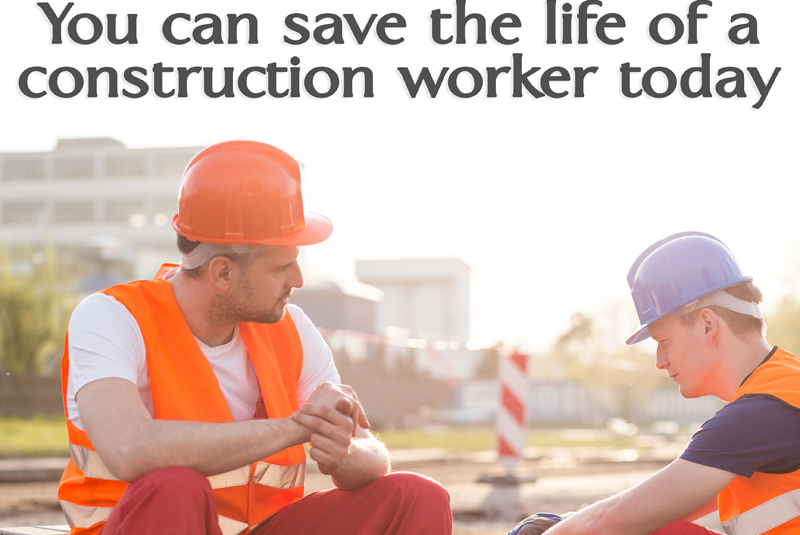 According to statistics, every single working day in the UK two construction workers take their own life, and that stress, anxiety and depression accounts for a fifth of all work- related illness. With predictable funding the charity will be able to plan and grow its vital charitable work and ensure that its 24/7 Construction Industry Helpline continues to deliver the emergency financial and emotional support that the construction workforce and their families so badly need. Bill Hill, CEO of the Lighthouse Club Charity, explained: “We’re on a massive journey to change attitudes towards mental health and leading the way with the industry’s Building Mental Health programme. By ensuring that every one of our 2.1 million construction workers know where to turn to in times of need, you and your business can make a real difference to people’s lives and help eradicate these horrific figures. “Change the life of a construction worker today by simply providing an annual donation of either £250, £500 or £1000. In return we will send you a pack of our helpline cards for you to distribute to your workforce and posters to display throughout your business and share your support on our social media channels. For more information, visit Save a Life today.